"To qualify as myth a story does not need to be true or false, but it must express a conviction held tenaciously by its adherents." Clarke’s approach is a departure from most UFO books. He’s done a neat trick of arranging the material in such a way that a reader new to the topic can absorb the essential history of UFOs during the course of the narrative. He covers UFO lore in an organic way, introducing it in conversation with non-sequential chunks of it, as it relates to his analysis, personal experience, or the topic at hand. Like many UFO buffs, Clarke was indoctrinated into the topic via pop culture entertainment, and developed a lifelong fascination. 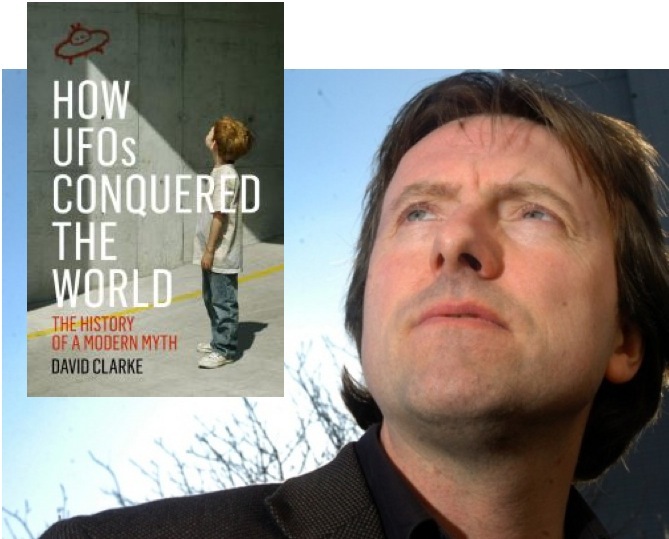 As an adult, Clarke worked to get the Ministry of Defence to release UFO documents, and once that began, he joined them in the role of external consultant to facilitate the disclosure. His unique relationship to the MOD’s documents are just part of it, though. Just as valuable are his interviews and personal relationships with significant UFO witnesses and researchers, something which allowed him to obtain first-hand testimony. Extraterrestrial proponents frequently say that if skeptics would just open their eyes to examine the evidence that they’d come to accept the reality of alien visitation. Clarke has done all that and more, but the ETers are not going to be entirely happy with his conclusions. However, his examination provides something of interest whether you are skeptical about alien visitation by UFOs or a complete believer. The book will likely challenge your beliefs and understanding at some point. Even if he's wrong about whether ETs are here, his discussion of our ideas about them is valid. Clarke's book is an interesting examination of the way we use UFOs as a mirror of sorts, on which we project our own beliefs and expectations about the universe around us. By reading it, the reader will be challenged, and you’ll be introduced to some new ideas, and chances are you'll come away able to put aside some old notions and be encouraged to investigate new possibilities. How UFOs Conquered the World: The History of a Modern Myth is hardcover, 320 pages from Aurum Press. It contains a glossary, notes and references, bibliography, an index and a color photo section. Ask for it in your local bookstore.